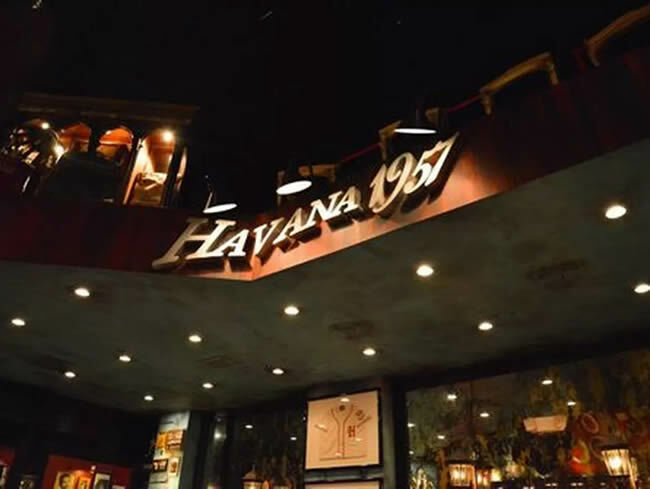 Havana 1957 quietly debuted their third South Florida location in the former Brickell Irish Pub space a few weeks back, but they don’t officially open till tomorrow. The eatery, managed by the V & E Restaurant Group, serves up traditional Cuban fare in a space reminiscent of old Cuba in the 1950’s complete with famous prints and a Cuban rum bar with over 70 types of rum. Items from the menu, which is managed by chef Silvio Echazabal, include the Havana 1957 Specialty (roasted chicken in a savory Cuban gravy served with white rice, black beans, salad and sweet plantains), seafood plates, sandwiches, and desserts like guava cheesecake. The grand opening party, which includes menu samplers, drinks, music and an appearance from the mayor for the city of Miami, takes place tomorrow at 5 p.m. and is open to the public.